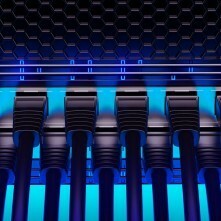 European cable operators are ahead of US operators in rolling out distributed architectures, according to Jeff Heynen, research director, technology, S&P Global Market Intelligence, with the investment being driven by competition from fibre. “There is a tremendous amount of capital going into fibre investments,” said Heynen, speaking at the Cable Next Gen Europe event in London. There had been a 56% increase in combined upstream and downstream DOCSIS channels from the first half of 2017 to the first half of 2018 in EMEA, said Heynen. There had been a 59% increase in downstream channels and a 43% increase in upstream channels, he said. Heynen said that pricing of downstream DOCSIS channels had fallen hugely in Europe, again outpacing the US. There had been an average 25% decline in price per downstream channel globally in 2017-18, but the European figure had been 32%, he said. Where in the US operators are interested in increasing capacity to CCAP platforms, the dynamics are different in Europe, where interest in distributed CCAP is growing, pushing prices down, said Heynen. There are more virtual CMTS deployments being made in Europe, also resulting in CCAP price declines, he said. Heynen said that European operators were moving towards a distributed architecture, Remote PHY and virtualised server-based CCAP platforms. He said the transition would accelerate next year, with Europe leading the way with distributed architecture investments. “The investment will shift from traditional CCAP platforms into these distributed access architecture platforms,” he said. “A lot of this had to do with the fact that there is so much more fibre competition in the region,” he said. However, he added, distributed architecture investments were a step along the way to full-fibre rollouts. Heynen said that in Europe operators were less focused than operators were elsewhere on not wanting to rely on centralised CCAP and more focused on looking on this as a stepping stone to full fibre. Heynen there was now an opportunity for new vendors to get into the market. He said that about US$233 million in DAA revenue would be generated next year, between virtualised CMTS and investment in Remote PHY deployments and Remote MACPHY deployments. He said that US$66 million in revenues would be generated in EMEA next year, rising to US$92 million in 2020. Heynen said that a survey of operators earlier this year had found that operators in EMEA were well ahead in moving to distributed access. In EMEA, he said, D-CCAP deployments typically mean remote MACPHY deployments.